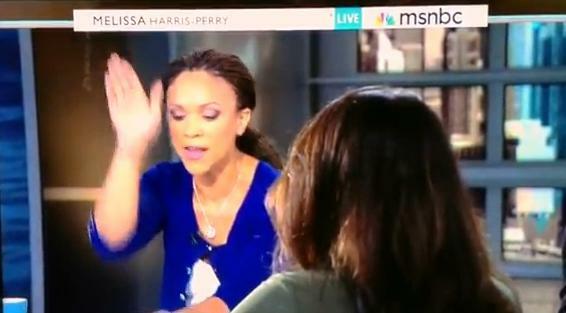 Girl my respect for Melissa Harris Perry has gone up two fold. I already had a deep love for the 'Sister Citizen' author, but when she called B.S. on a guest's assertion that only the wealthy take risks I knew she and I were kindred spirits. It is about time someone in the media calls the GOP out on these lies they are constantly perpetuating. Her eruption of frustration mirrored my own eruption that I had with a conservative colleague who decided they wanted to challenge me on my support of the President by starting the debate with outright lies and untruths. I have absolutely no problem debating anyone about my support of the President. I do; however, insist that we must start the debate in reality and not the GOP's perception of reality. Let's debate facts and not talking points that you received from Fox News and Rance Priebus.